WARNING: This material is the patented and copyright protected intellectual property of iReviewnow, LLC - 2013. © Copyright - iReviewNow, LLC - 2013 - All Rights Reserved. iReviewNow - United States Patent 7,979,908. You must answer all questions to view, print, or save your report using iReviewNow. iReviewNow, LLC (hearafter "iReviewNow") is providing thjis report to you in real-time to ensure your background check or consumer report is accurate. Your report was provided by the consumer reporting agency (CRA) named in the report, as iReviewNow is not a CRA. The information in your report is from the named CRA and/or "direct government" sources, such as teh Federal Bureau of Investigation, state and local law enforecement agencies, federal, state, and county court records, probation and parole offices, among other "official record." © Copyright - iReviewNow, LLC - 2013 - All Rights Reserved. iReviewNow - United States Patent 7,979,908. iReviewNow is a registered trademark of the inventor of iReviewNow, as licensed to iReviewNow, LLC, and employers, government agencies, background screening providers, consumer reporting agencies, and end-users you have permitted to prepare a background investigation or consumer report. I DO NOT HAVE A USER ID OR PASSWORD: If you do not have a unique identifier number, User ID, or Password, click on the register button. Once you have registered with iReviewNow.com, you will receive e-mail and/or text message notifications when a background or consumer report becomes available and returned to the Login Page. Remember, you have previously agreed to use iReviewNow to view your report to ensure its accuracy. iReviewNow is the only system that allows you to view your report instantly. The unauthorized reproduction or distribution of this copyrighted work is illegal. 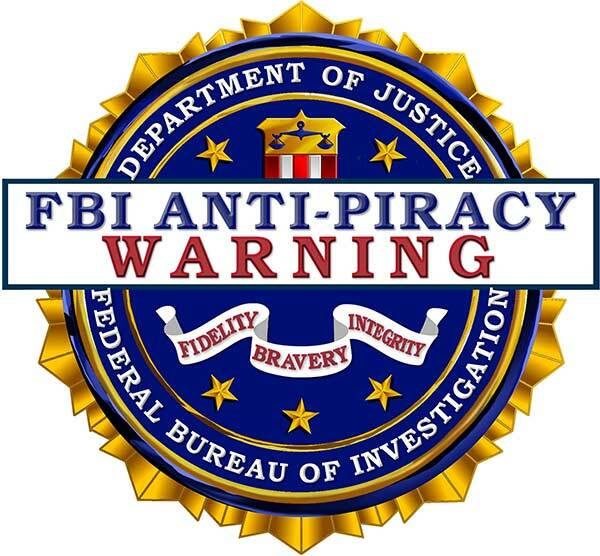 Criminal copyright infringement, including infringement wihout monetary gain, is investigated by the FBI and is punishable by up to 5 years in federal prison and a fine of $250,000. The Fair Credit Reporting Act, as well as various federal and state laws, provides criminal and civil penalties for persons improperly, illegally, or falsifying information to obtain consumer report information from consumer reporting agencies or information from the Federal Bureau of Investigation and other government courts and agencies that are part of iReviewNow Reports. Please provide an e-mail address for notifications when a consumer report about you becomes available at iReviewNow. Don’t have an email address? Follow these instructions for a free email address. Click here. Please provide a cell phone number or other contact number along with the best time to reach you if we need additional information to authenticate your report. The next few questions will help us verify your identity -- please answer all questions which apply to you. Please check this box ONLY if you have no government-issued identifications. Please check this box ONLY if you do not have a social security number or an alien registration number. "I affirm under oath and penalty of perjury that I do not have a social security number or an alien registration number." YOU MUST SCROLL DOWN TO READ THE ENTIRE TERMS AND CONDITIONS. I agree to the following terms and conditions by my signature on page 1. 1) By clicking "I agree," I affirm and agree that I have read, understand, and agree to ALL TERMS AND CONDITIONS herein for the benefit of using iReviewNow. 2) VIEWING ANY PORTION OF MY REPORT AND/OR CREATING A PERSONAL PROFILE AND/OR CLICKING "SUBMIT" IS MY OFFICIAL AGREEMENT TO THE TERMS AND CONDITIONS SET FORTH AS FOLLOWS. 3) iReviewNow LLC is not the consumer reporting agency, as defined by the Fair Credit Reporting Act (FCRA), and did not prepare the consumer or background report. 4) iReviewNow provides me the benefit of its patented solution to view my consumer or background report, identify any inaccuracies or mistakes, explain any information that may be less than favorable, adverse, derogatory, or result in an adverse decision by the User of the report, including, but not limited, not being hired, terminated from employment, denial of security access, denial of credit or insurance, or any other lawful use of by report. 5) iReviewNow does not make any recommendations to the User of my report, but transmits to the User and/or organization that prepared by report my answers and responses contained in iReviewNow. 6) iReviewNow does not promise or guarantee that my answers will result in a favorable outcome, as all decisions are make by the user. 7) Where I dispute the accuracy of any portion of my report, I understand and agree that iReviewNow does not reinvestigate the information and only transmits the dispute to the entity preparing and/or User of my report. 8) The information I have entered is my personal information and is accurate and I am the person identified in report. 9) By answering any question in iReviewNow serves as my official consent and agreement to all terms and conditions herein. 10) I am the applicant, employee, or consumer named in the information I entered knowing it is a crime to use illegally another person’s information to gain access to his or her consumer or background report. 11) I have reviewed my report for accuracy and unless identify that my report is inaccurate or specifically identify what I believe to be is inaccurate that I am certifying the report to be accurate. 12) I have voluntarily elected to use iReviewNow to view my report, and take advantage of all the benefits of iReviewNow versus waiting for my report to be delivered to me by mail or any other means. 13) I agree that the employer, company or organization that requested the report, or the background-screening provider, does not need to mail any information or copies of reports to me, as I am knowingly and voluntarily using iReviewNow in place of the Fair Credit Reporting Act (FCRA) and other state and/or federal laws, regulations, or guidelines. 14) I accept full responsible for the security of the report sent to me by iReviewNow or made available to me by iReviewNow. 15) I understand that iReviewNow is only reporting the information in the report and does not make any positive, negative, adverse employment, or any other decisions based on the information, as the employer or user of the report is solely responsible for hiring, retention and all decisions. Thus, I hereby release and forever hold harmless iReviewNow LLC, the User of my report, and the preparer of the report (consumer reporting agency) for allowing me the benefit of using iReviewNow. 16) Dispute Resolution: Any dispute arising between the parties to this Agreement shall be resolved through binding arbitration conducted by the American Arbitration Association ("AAA"). The conduct of the arbitration shall be governed by the AAA’s rules for commercial arbitration. The arbitration shall be heard by a three-member panel selected from the AAA’s panel of commercial arbitrators. The selection process will be governed by the AAA’s rules for commercial arbitration. Where arbitration is not performed telephonically, as the consumer, I agree that iReviewNow shall set the venue for the arbitration inside the Continental United States at a place of its sole authority as governed by the laws of the State of Texas. I agree that I expressly waive all access to court, including the waiver of any right to seek an injunction, or recovering of any damages beyond $20.00 U.S., and no right to recover costs or attorney fees if I am the prevailing party in the arbitration. I agree that I am solely responsible for payment of all Arbitration costs when filing a dispute with the AAA. I further agree that I shall be solely responsible for payment of all attorney fees and costs of iReviewNow LLC should it prevail in the arbitration decision. 17) I have had an opportunity to read or review my rights under the FCRA, other applicable regulations, state and federal laws. I further acknowledge that I have had every opportunity to seek legal counsel before consenting to using iReviewNow and that I have received a significant benefit in using iReviewNow. 18) The user of this report is hereafter referred to as "USER," which is the entity or individual I have authorized to prepare a consumer or background report by a Consumer Reporting Agency (hereafter "CRA") and transmit it to iReviewNow for my review. I am the subject or consumer named in the report or reports, and I certify that I am legally allowed to enter into this Official Consent and Agreement. • I have an opportunity to see what is being reported about me at or near the same time as the USER and CRA. • I have the opportunity to identify any mistakes in my reports at iReviewNow before or near the same time as the USER of my report makes decisions that might have a positive or negative impact on me. • I have the opportunity to explain information in my report that the USER may consider in its decision, though I understand that the USER is solely responsible for all final decisions and legal use of my reports. 20) By agreement with iReviewNow, the USER must have your signed consent or digital signature consent to order a consumer report, which by using iReviewNow, I hereby affirm such consent has been given. 7) I agree that the USER or USERS are licensed to use iReviewNow.com and authorized to view and use my reports and answers provided to iReviewNow.com. 21) By logging into this website to view my consumer or background reports, I agree to all terms, conditions, and authorizations described herein and/or in an iReviewNow Agreement I executed in authorizing the consumer or background report. 22) I have exercised my opportunity to make sure the reports about me are accurate or alerted the USER and iReviewNow that my identity has been stolen or is being fraudulently used. 24) The information I have entered to view my report is my personal information and is accurate. I am the person identified in the profile I created on iReviewNow.com. I am the person named in the report, unless otherwise disputed in iReviewNow.com. I acknowledge that the terms and conditions as detailed herein shall be a valid original of my release and consent. I am the applicant, employee, or consumer named in the information I entered, knowing it is a crime to use another person’s information to gain access to his or her consumer or background report. 25) I agree to review the background or consumer report AND answer the questions in iReviewNow to ensure the accuracy of my report. I agreed to answer ALL questions about my report, which I have authorized to be stored and reported by iReviewNow.com for future reference and use by employers, licensed iReviewNow background screening providers, iReviewNow.com, and SecurTest, Inc. or their heirs or assigns. 26) I hereby am giving notice and agree that the employer, company, or organization that requested my report, or the background screening provider, IS NOT to mail any information or copies of reports to me as I will use iReviewNow.com in place of the Fair Credit Reporting Act (FCRA) and other state and/or federal laws, regulations, or guidelines, unless I so direct them by mail, overnight express delivery, or hand delivery a written request pursuant to the terms of the FCRA or other state or federal laws. 27) I am responsible for the security of the report once I email, print, or save a copy of the report as found at iReviewNow.com. I agree to not reuse or give the report to other employers, USERS, or any other party. 28) I agree that a report about me at iReviewNow expires or is no longer valid or usable by others that are not USERS or myself once I have saved or printed the report after 30 days, as a new report or consumer report must be ordered. 29) I agree that all notices, such as pre-adverse action and post-adverse action letters, and my rights as defined by the FCRA and similar laws have been properly transmitted to me by using iReviewNow, and no other notices, correspondence, or information need to be sent to me in any form hereafter. 30) I agree that all notices, letters, reports, consumer rights, and other communications to be transmitted to me by email or as recorded on iReviewNow shall be found and used by me on iReviewNow.com. I certify by my electronic signature in completing a personal profile, using iReviewNow.com, and/or clicking "Submit" that transmission of such information provides sufficient proof of my receipt, consent, release, hold harmless, and authorization. 31) I have had an opportunity to read or review my rights under the Fair Credit Reporting Act (FCRA) and other applicable regulations, state, and federal laws. I further agree that I may rescind this agreement in writing to iReviewNow, though I agree that I shall hold forever harmless from all claims for the use of my report by USERS or me prior to the written notice rescinding this agreement. I further agree that all previous reports and information I provided in using iReviewNow.com before the time I rescinded this agreement shall be used by iReviewNow.com as a permanent part of my consumer or background reports, and may be transmitted by iReviewNow.com and used by USERS, except that those reports will have the following notation: "The consumer rescinded his or her agreement to use or participate in iReviewNow on [date], though the consumer has authorized that all reports or information provided to iReviewNow.com prior to this date may be used by iReviewNow.com and its USERS." 32) I understand and agree that all previous information provided by me becomes the exclusive property of iReviewNow.com and unless proved to be inaccurate by an independent court or law enforcement approved entity, shall not be removed or redacted from iReviewNow.com. I understand that it is my sole responsibility to submit proof of any inaccurate information as certified by a court or law enforcement entity in writing, where such is required by iReviewNow.com or its USERS or by rules or regulations to: iReviewNow LLC whose mailing address may be found at http://www.ireviewnow.com/infoupdate.php. 34) I certify that I have every opportunity to read my rights under the Fair Credit Reporting Act by going to http://www.ftc.gov and/or http://www.ftc.gov/os/statutes/031224fcra.pdf, whichever notices and rights are most current. 35) I understand and recognize that information in my report is secured from and processed by fallible sources (human and otherwise), and as such is dependent on various courts, law enforcement agencies, and my entering data or information correctly. I agree that it is my responsibility to ensure that the courts, law enforcement agencies, and others report my background information accurately to iReviewNow and USERS. I agree it is my responsibility to have the courts, clerks of courts, or law enforcement update, modify, change, or correct any information before it can be corrected in any official government record. 36) I understand that the purpose behind iReviewNow allows me an immediate remedy to identify erroneous, inaccurate, or incomplete information prior to any adverse consumer, access, employment decision, or use is made. I understand and agree that iReviewNow.com or SecurTest, its USERS, assigns or heirs, cannot be either an insurer or a guarantor of the accuracy of the information reported. Therefore, I release them, including their Affiliates, Agents, Information Suppliers, and their officers, agents, employees, and independent contractors, heirs and assigns from liability for any negligence of furnishers of information in connection with erroneous information provided by such sources. iReviewNow.com, their assigns, affiliates, and heirs rely on me to provide accurate information for any background or consumer investigation. Moreover, iReviewNow and SecurTest or USERS make good faith efforts to find and report the most accurate information in its background screening and consumer reports, and I hold them harmless for the contents of my reports. 37) As the consumer, by creating a user profile, I agree to utilize iReviewNow.com to authenticate the information contained in my report. I further agree to and shall indemnify, defend, save, and hold harmless iReviewNow and all parties identified herein from and against any and all loss, liability, damage, or cost they may incur, including attorneys’ fees and litigation costs, arising out of my use of iReviewNow.com, viewing, disputing, and/or identifying any errors in my report, whether caused by negligence or otherwise. 38) I UNDERSTAND that where I report errors, inaccuracies, or mistakes in my report to iReviewNow that the consumer reporting agency or government agency or court that created the report and/or USER of the report is solely responsible for reinvestigating and correcting any errors, inaccuracies, or mistakes. Once I identify any errors, inaccuracies, or mistakes, I authorize the USER or consumer-reporting agency to reinvestigate the matter and amend the report found at iReviewNow.com. I agree to return to iReviewNow.com when notified of any amendments, corrects, changes, or updates to my reports when notified in any manner by iReviewNow.com or its USERS. 39) FBI Records. If, after reviewing your FBI record, you believe it is inaccurate or incomplete, you may challenge the record by contacting the agency (or agencies) that originally submitted the information or by sending your challenge to the FBI’s CJIS Division, Attention: Correspondence Group, 1000 Custer Hollow Road, Clarksburg, WV 26306. The Correspondence Group will contact the appropriate agencies in an attempt to verify or correct the challenged entry for you. Upon receipt of official communication from the agency with jurisdiction over the data, the FBI will make appropriate changes, if necessary, and notify you of the outcome. Updating your FBI criminal history record can include having final disposition data entered, cases expunged, pardons entered, a conviction level changed, or rights restored. When challenging, you should submit any supporting documentation you have in your possession that indicates the final outcome of the arrest(s). Your FBI Identification Record may not reflect all instances in which you were arrested and fingerprinted. The FBI maintains criminal history records voluntarily submitted by local, state, federal, and certain international agencies. You may need to contact the arresting agency or the repository of the state in which the arrest(s) occurred for criminal history record information. A state repository is responsible for maintaining and updating state criminal history records. 40) I agree to submit at my expense color copies of office government identification and electronic fingerprints to iReviewNow.com and/or USERS upon request by them if I dispute the accuracy of the records contained in my report through iReviewNow.com. I agree that the identification and fingerprints will serve as "best evidence" as to my identity as it relates to investigating my background or criminal records as reported by iReviewNow, SecurTest, their assigns, affiliates or heirs, and USERS of my report. 41) I agree that I have five (5) business days to review and dispute through iReviewNow.com my report or reports, unless state or federal law provides a period of time shorter or greater than five business days. I agree that failure to review or dispute any information in the report is a complete waiver and hold harmless from any claims I may make if I later discover what I believe to be any inaccuracies or missing information in my report, as five business days is adequate and sufficient time for me to review my reports at iReviewNow.com. 42) FBI Information Notice: You may obtain a copy of your FBI Identification Record. I agree to go to http://www.fbi.gov for the latest instructions. 43) I agree to securely transmit to iReviewNow any FBI report sent to me if I am disputing any portion of my report found at iReviewNow.com. I understand that withholding relevant or factual information from iReviewNow.com may result in an incomplete or inaccurate consumer or background report available by authorized users of iReviewNow.com. 44) ELECTRONIC SIGNATURE AUTHORIZATION: I hereby certify that completing a personal profile at iReviewNow.com or Clicking on "Submit" or "Login" (or similar buttons) has the same effect as if I have signed a printed document and that doing so is proof of my consent, authorization, release, and electronic signature that my reports may be used by me and USERs of iReviewNow, their agents, or authorized third parties to rely on it as if it were my original handwritten signature. 45) RELEASE AND HOLD HARMLESS AGREEMENT. By using iReviewNow.com to view my report or use any of the benefits of iReviewNow, I hereby release and forever hold harmless SecurTest, Inc., iReviewNow, and their heirs, affiliates, or assigns, the information provider, and/or USERS of my report for providing me my report through iReviewNow. This release means that I agree to use iReviewNow to report any and all disputes, errors, inaccuracies, or other issues to ensure that my report is accurate. I hold iReviewNow, the USERS, and licensed background screening and consumer reporting agencies authorized to use iReviewNow and their affiliated companies, officers, agents, employees, and independent contractors and affiliates (hereafter USERS) harmless on account of any expense or damage resulting from the use of my reports unless such is contrary to state/federal law or regulation. Moreover, I hold the USERS harmless, including officers, agents, and employees, for negligence or willful misconduct relating to incomplete, erroneous, or false information that I do not clarify or report using iReviewNow.com. As the inventor, iReviewNow and/or SecurTest is providing use of its patent, copyrighted web-based software, and other computer systems, and I specifically hold them harmless from any and all claims for disputes, inaccuracies, or errors that may be contained in my report, as they did not compile the information contained in my report. Users, employers, or others I have authorized to use iReviewNow are solely responsible for the legal use of iReviewNow. I understand that the providers of the information that is contained in my consumer report are solely responsible for the accuracy and legality of the information. 33) I understand that iReviewNow (SecurTest, Inc.) is only reporting the information in the report and does not make any positive, negative, or adverse employment, credit, insurance, or other consumer decisions based on the information, as the USER is solely responsible for hiring, employment, and/or consumer decisions. Thus, I hereby release and forever hold harmless SecurTest, Inc., iReviewNow, and their assigns, heirs, and affiliates, the provider of the official records, such as the FBI, state and local governments or courts, among others, and/or USERs for providing me my report through iReviewNow. I have had the opportunity to register with iReviewNow.com to receive my consumer reports online or by email. 47) I hereby certify that this consent and agreement becomes a part of my report or reports at iReviewNow.com and my report and this consent and agreement may be transmitted to USERS, me, and an attorney requesting such in my behalf. Electronic Signature: You MUST follow these instructions to electronically sign, which further confirms that you agree to all terms, conditions, and agreements for using iReviewNow.com, which is legally enforceable). iReviewNow.com does not have any reports about you on file. Please come back later to see if we have a new report about you. You will receive an email and/or text message notification where you have provided a correct and valid email or cell phone number when reports about you are made available by users at iReviewNow. If you have recently signed an authorization for a background report that uses iReviewNow, it may take a few days for the report to be completed. Click here if you wish to purchase your own background or consumer report. Thank you for using iReviewNow. We have your report(s) on file. Please answer the following security questions previously provided by you to confirm your identity and authenticate your report. Your information does not match the identity of the person named in the report. Your information is secure and transmitted directly to our servers. Please check your e-mail for your access code once your identity is approved. iReviewNow has found the following report(s) matching your identification. Please click on the Work Order # (Report #) to view and authenticate your report. Completed: You have already reviewed and completed the iReviewNow steps for this report. You may view this report by clicking on it. Expired: You did not view thisreport using iReviewNow within thirty (30) days from the first notice sent to you. You may still view these reports and use the iReviewNow features. However, the bakground screening provider, consumer reporting agency, or user (such as the employer or customer) is not required to offer any considerations such as employment, re-employment, or any other consideration since the time for using iReviewNow has expired based on your previous authorization and consent. You also agreed to view your report at iReviewNow within (5) business days from the first notification. Failing to view or comment on your report during this time terminated any consideration or benefit at the time the report was prepared. Review Now: Your report is ready to be viewed and Accuratized. Please click on it now. Your identity has been successfully verified. Please answer the following questions regarding your report. Please remember that your answers become part of your report. Read each question carefully, as you will be unable to change an answer once you click Next. NOTE: Address history is not used in grading, passing, or failing your report and is not considered by the USERS of your report in making decisions. You need not correct your address information, such as in the SSN Trace portion of the report. Failure to answer all questions and complete iReviewNow will be documented in the report and the report will be marked as accurate. 4) Check all that apply. One or more criminal charges is incorrect. One or more charges was listed as a Felony when it was a Misdemeanor. One or more charges was listed as a Misdemeanor when it was a Felony. One or more charges incorrectly reads I was convicted of a crime when I was not. The sentence is correct, but I served less time or received other special consideration. The sentencing provided is completely incorrect. I committed the crime, but was not convicted of the crime. I have documented proof that the record was expunged. My attorney failed to follow the court order and did not file papers to have the record expunged. The court has certified records proving the record was expunged. I have been convicted of a felony. I have never been convicted of a felony. I am disputing the report as the court ordered the report to be sealed as I was juvenile offender. I was not convicted of one or more crimes as adjudication of guilt was withheld by the court. I was convicted but my sentence was deferred. I pled no contest / nolo contendere / Alford Plea to receive favorable consideration from the court, though I was innocent. I can identify serious mistakes in the report (must be detailed below). 5) Please detail any other serious mistakes in the report. Please CLICK on a portion of the report where you want to make corrections to. You may keep doing this until you feel that the report is correct. 6) What is the page number of the report you are disputing? 7) What is the line number of the report you are disputing? 8) What is Case Number you are disputing? 9) Specifically, what are you disputing about this record? 10) I have more corrections or disputes. Upload any documents, files, or records that you wish to be attached to your report if you are disputing the accuracy of your report(s). You may upload multiple files. Examples of acceptable records include: Court Orders, Expungement Orders, Sealed Record Order, Certified Court Docuemnts, among others. This next section may prove to be the most valuable information that only you can provide. iReviewNow understand that no one is perfect. Read the question carefully to provide information you believe the user of the report should consider in making a decision. What have you done to improve or rehabilitate yourself that you would like the user of your reports to consider? Users of your report may or may not be able to consider your answer, as laws, rules, regulatons, or internal decisions must be applied in reviewing your background or consumer report. This information helps us keep statistical records that help us ensure iReviewNow helps users conform with federal and state laws to avoid discrimination. Employers may legitimately need information about their employees or applicants race for affirmative action purposes and/or to track applicant flow. iReviewNow guards against discriminatory selection as your answers are not part of your application for employment and only used as required by law. iReviewNow does not release your answers about race, gender, or national origin except as required by law, federal or state rules and regulations, or as required by the various departments of the U.S. government. This is the last section. You will be finished when you click on Submit in the next section. It is fair that iReviewNow allowed me to review my report(s) for accuracy. Yes. No. I would rather wait on the mail to get my report, though the User may have been able to find someone more or equally qualified. I like the opportunity of reviewing my report so that the user of my report considers my answers in making a decision. Thank you for using iReviewNow.